Finding a safe, organic bodywash and shampoo for your little one is not as easy as it sounds. I had my first wake up call with my son’s sensitive skin erupting in rashes after using “natural” and “organic” products. These marketing terms don’t leave consumers with much choice other than reading the ingredients, which are not always fully disclosed. Although this product is not ranked by the Environmental Working Group (EWG), Earth Friendly Baby’s bubble bath received a hazard score of three. I am not sure what Sodium Lauroyl Lactylate is, as my son has shown sensitivity to SLS, and there is no data on Skin Deep. The Cocamidopropyl Betaine does receive a hazard score of five. Would I buy this product? Maybe. My son has largely outgrown his sensitivities, so I can’t really tell if this product would have worked when he was a baby or not. Once we tried California Baby and found it worked, we have not veered far from this brand. I do like that the Earth Friendly Baby is over 70% organic! What we put on children’s skin is just as important as what goes into their mouths. 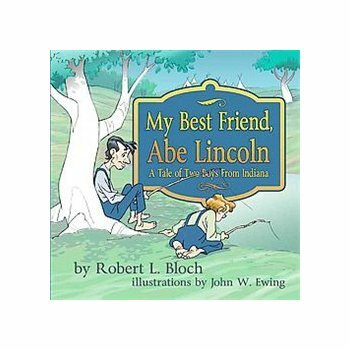 My Best Friend Abe Lincoln: A Tale of Two Boys From Indiana by Robert L. Bloch and illustrated by John W. Ewing is a fictional story interwoven with a few historical facts on the early life of our sixteenth president. It is hard not to feel admiration for this man and want to teach our children about him. In 1820, Sam Harding and Abe Lincoln forged a strong friendship based on their love of learning and the outdoors. This timeless story is about the special bond between the two boys, the experiences they shared growing up in early America, and how one of them eventually became the sixteenth President of the United States. Some readers might take offense that Native Americans are called “Indians” in the book, but it doesn’t bother me as I have heard older local Native Americans say they prefer to be called an Indian as that is what they grew up with as their identity. The illustrations of this book annoy me, as they are very Disney-like, which makes sense since the illustrator used to work for Disney. Would I buy this book? Probably not. There is nothing eco-friendly about the book (both topic and materials). It does give some historical perspective of early life of our president in the 1800s, if that is what you seek. Stevia is quite the rage, and now you can get a naturally flavored soda that has zero calories sweetened with stevia. We are soda-loving people. But we never felt good about what we were drinking, until now. ZEVIA is the new version of our old favorites. What’s different? We use stevia, a 100% natural, little miracle of nature. People have been sweetening foods and beverages with stevia for hundreds of years. ZEVIA, pronounced zē-vē-ah, was the first and remains the best tasting 100% natural, zero calorie soda. With only the purest ingredients, ZEVIA contains none of the chemically processed artificial sugar substitutes, artificial colors, flavors or preservatives found in other diet sodas. 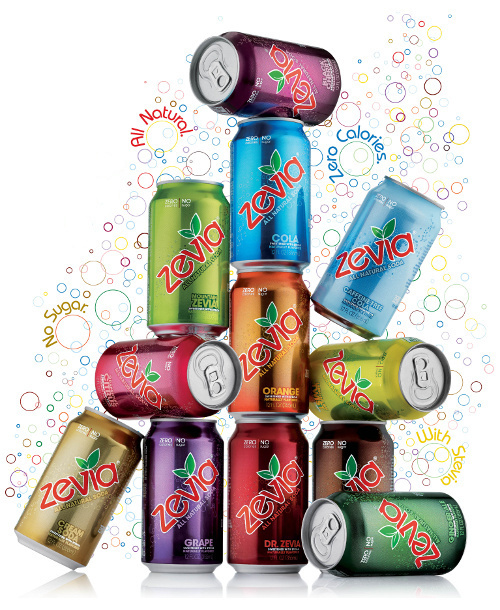 ZEVIA is 100% natural, has zero calories, zero net carbs, zero fat, and little or no sodium (depending on flavor). There are 12 varieties to suit your taste buds. Would I buy this product? No. I’m on the fence about Stevia, as there has been concern about its safety in the past. I think it is really trendy, and I don’t care about calories. If I am going to eat or drink something sweet, then calories are part of the deal. Trying to pretend otherwise is simply fake and wouldn’t help in the long run if I had a weight problem or sweet addiction and wanted to change my eating habits. Furthermore, I am not a soda drinker, unless in a cocktail, and I don’t want my children to be either. Sodas offer no nutritional benefits, and I want my children to learn to drink water to hydrate. I also don’t like the flavor of stevia. Upcycling billboards into more useful products is a great idea. In fact, my favorite reusable bags are made form woven billboards. Remakes has another idea for these monstrosities of advertising. 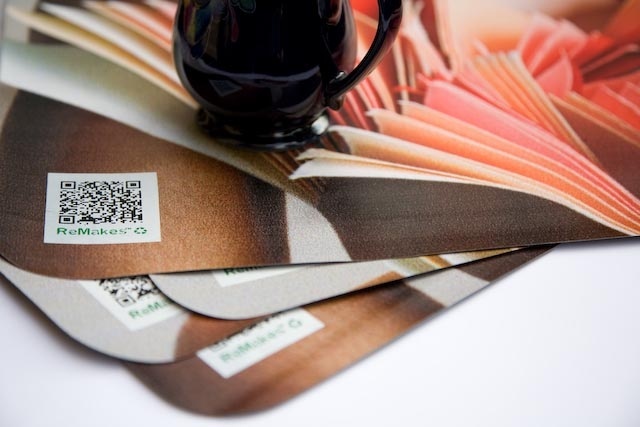 ReMakes™ eco-friendly placemats are made from reclaimed billboards and movie posters. Each one-of-a-kind set of four placemats is randomly cut and selected from the same poster. ReMakes™ placemats help preserve our environment and reduce landfill, while bringing an artistic and unique look to your table. Would I buy this product? No. They are made of vinyl and stink very badly fresh from the tube. Vinyl is not safe for food. It may be durable and clean up well, but I would be very concerned if my child ate food that had fallen on these place mats. Aesthetically, I think they are cool, but I can’t get past the PVC vinyl. « How Far Would You Push A Stroller To Protect Your Child? I’m not familiar with Earth Friendly Baby, but one organic/natural skincare line to check into is episencial. They have two items on the EWG’s top rated sunscreen list and their bath items score in the green zone.